It’s Still not Too Late! The person with the biggest classroom in the school has a BIG job! You have to serve the needs of the youngest students to the oldest. You have to help the first-year teacher as well as the 30 year veteran. You are there at the last minute when the superintendent shows up and decides to read to a class, but she didn’t bring a book. You rescue those with tech problems and are a hero to the kid who has finished one series and is looking for another one. What you do matters to a lot of people. It’s a good thing that you are so amazing! Keep up the good work! Media centers and media specialists are underappreciated and misunderstood. Many people in your school and most of your school boards do not have a real grasp of the VALUE you and your classroom bring to the campus and the educational process. 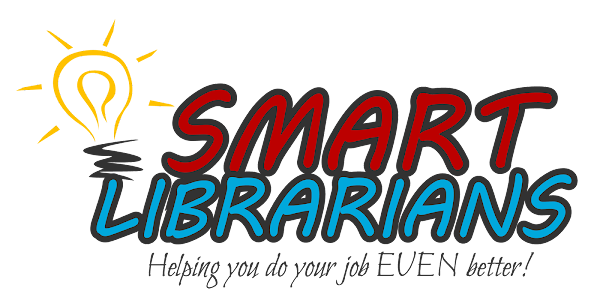 Celebrate Read Across America Week, National School Library Month, Children’s Book Week and more with a school assembly visit from your favorite educational entertainment specialist! It’s not too early to start planning for these great ways to promote reading! Find out more about the celebrations by clicking HERE and HERE. And of course, you can find out more about great school assemblies by clicking HERE! You are receiving this newsletter because you have attended one of my workshops, invited me to your school, or registered for a free half day of assemblies at a conference. If you’d like to unsubscribe, simply click reply and let me know. Have a WONDER-Filled Day! I love performing for your students. It’s my favorite part of the job! A close second is when I get to go to media specialist meetings and lead one of the 5 workshops I offer. In every one of the almost 100 newsletters I have written, I have shared from my most popular workshop, 45 Ideas in 45 Minutes. Starting this year, I will be talking about marketing your media center to students, colleagues, administrators and the politicians who make decisions about what you do without having any idea of your value to your school. Just like 45 Ideas, this material is all based on real world, practical ideas that WORK! Enjoy! The media center has WAY more to offer your students and colleagues than they realize – and part of the reason they don’t know it is that you haven’t been EFFECTIVELY telling them what is there. If they only knew the real value of the media center and a highly trained media specialist, they would utilize it more than ever! And if the administration and politicians in power knew what you offered, they would never consider cutting funding, space, or assistance. During the next several weeks, I will share with you the basics of marketing your media center in a way that educates, informs and inspires your clients to value and use the services you offer, and to tell their peers about it. This crash course in “tooting your own horn” will inspire you to begin the New Year with a practical plan to shine the spotlight on the biggest and most important classroom in the school. And it will show you how to promote without sounding like an annoying infomercial on late night TV. I think you are going to LOVE this!